Arbitration is a term we are hearing more and more frequently when it comes to settling disputes. Traditionally, when an individual would challenge a company, they would need to go to court. This would involve hiring a lawyer, filing all sorts of paperwork and sometimes years of legal rigamarole. Litigation, in most cases, does not benefit an individual; especially when they are up against a corporation and its resources. Arbitration, unlike litigation, is generally a faster, easier and less costly way to settle disputes. Because of this, many contracts now include arbitration clauses that allow both parties to choose this path. In some cases like union contracts, arbitration is a required first step in resolving disputes. But what if you’re using it for something a little simpler? Couples planning divorce who would prefer to settle out of court can seek out an Arbitrator or arbitral tribunal. This will help the couple figure out what they want, or don’t want, through the divorce. Let’s take a closer look at what arbitration can do for you. According to dictionary.com, arbitration is the determination of a dispute. It can be the settling of differences between parties by a person, or persons, agreed to by that party. In international law, it is an application of judicial methods to settle international disputes. Arbitration is a form of alternative dispute resolution. Sounds simple, right? Let’s dive a little deeper into how it works. How does an arbitration work? Instead of going to court to settle any dispute you have, you’re can sit down with an arbitral tribunal to solve your case. Your Arbitrator is a disinterested third-party. Upon sitting down, both sides present their evidence, allowing your Arbitrator to make a decision. Arbitration will often be confused with mediation or litigation. So how does this all work? Filing and Initiation: Your case begins when one party submits a Demand for Arbitration to the American Arbitration Association (AAA). The other party will then be notified of the case by the AAA. Arbitrator Selection: Based on the criteria of your case, the AAA will help determine an Arbitrator for the case. Preliminary Hearing: The Arbitrator conducts a preliminary hearing with both parties. You’ll discuss the issues of the case and procedural matters, such as witnesses, depositions, sharing information, and other matters. Hearings: This is where both parties can present testimony and any evidence to the Arbitrator. Post-Hearing Submissions: If allowed by the Arbitrator, both parties can enter any further evidence or documentation. The Award: Finally, your Arbitrator will close the record and issue their decision. If applicable, there will be an award. In the case of an arbitration, they can be binding or non-binding. You can usually find binding arbitrations in the small print of certain business contracts. This type of agreement can help both parties save time and money. The results of decisions made by the Arbitrator are formalized. Afterward, they can then be enforceable by law. Once the results are determined, a judge approves the papers and issues a court order based on the results. A non-binding arbitration is a similar process, however, both parties maintain the option of rejecting the resolutions. If this happens, one – or each – can demand a trial to dispute the issue at hand. Non-binding arbitrations are usually treated as an assessment of the strengths and weaknesses of a lawsuit. However, in the event of such cases, the agreement can make the award binding. If the parties agree or wait longer than a stated time, the case may return to court. How does it work in a divorce? There is a lot of uncertainty when facing a divorce. Couples might be splitting for all kinds of reasons: adultery, mutual agreement, etc. If the couple doesn’t wish to dispute their divorce through the court system, they may choose to go with arbitration. 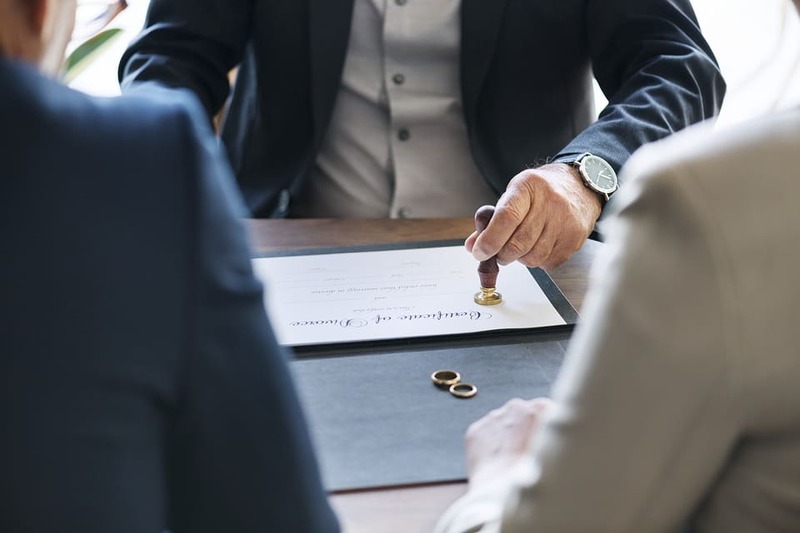 Divorcing couples may also define what procedure will be followed and how long the Arbitrator will have to render a decision. After a hearing, the Arbitrator renders a decision, called an award, on the specific disputed issues. Unlike a court trial, the Arbitrator’s Award, in most cases, cannot be appealed. At the end of your case, an arbitration award will be handed out. Depending on what happened with the case, either party can deny this. The Arbitrator gives the award upon reaching a decision. The award could be money that has to be paid by one party to the other. It can also be a non-financial award. The non-financial award can be as easy as stopping certain business practices. Or maybe it can be an award from a divorce case, such as custody of children or belongings. However, appealing an arbitration award isn’t as easy as it sounds. As mentioned above, it depends on if your case is binding or non-binding. If the case is non-binding, you can appeal without a valid reason to do so. If you win an appeal for the award, the award will no longer be available. Disputes might be litigated in court without having to go through the process again. Since arbitration is the most popular alternative dispute resolution, you will find one — or more — in certain types of contracts. Usually found within the fine print, these types of clauses can be binding or non-binding (as mentioned above). Contract arbitrations are included if either party require one for any disputes “arising under or related to” the contract. If a clause is not included, both parties can still arbitrate if they agree on terms. Like most things that have to do with the law, there are advantages and disadvantages of arbitration. It is a good thing if a case is handled in a day. Are there any disadvantages to these clauses? Advantages: It is faster and more efficient for scheduling than litigation. Not to mention, you’ll avoid some of the courtroom hostility. These types of arbitration are private and avoid the drama of the courtroom. For example, if the case is technical, the parties can select an arbitrator who knows the field. That is easier than a judge who won’t know certain technical terms or has no technical knowledge. Disadvantages: You cannot appeal a binding arbitration. If an Arbitrator shows biases or there was a public policy violation, the case can be set aside. “There is no automatic right to discovery (the process by which the parties have to disclose information about their cases to the other party),” according to attorney Richard Stim. Don’t forget about the cost. In some cases, the cost can be significant. Some cases can exceed those of litigation. During a survey by Public Citizen, a consumer watchdog group, the cost of an arbitration case is significantly higher than a lawsuit case. The average cost is $9,000 to initiate a claim that could be worth $80,000. The average cost for filing in a state court: $250. The parties involved pay Arbitrators up to $10,000 or more. Don’t forget to add in lawyer fees, as well as administrative fees. Is an Arbitration Right For You? Arbitration is helpful for businesses or those going through a divorce. It’s private and doesn’t involve the messiness of a courtroom. Sure, there are benefits of using an Arbitrator, but your best bet is to research the pros and cons. Doing adequate research will help you decide if it’s right for you.